In a country of many wonders, one could spend months travelling around and yet leave feeling unfinished. Among the places to visit in Peru (and for a good reason) there are the Sacred Valley of the Rio Urubamba and Machu Picchu. The Sacred Valley of the Incas is one of the places to visit in Peru. The starting point to visit the Sacred Valley is Cusco. It is possoble to go to the sites independently (purchase a boleto turistico: tourists have two full days to visit Pisac, Ollantaytambo, Moray and Salinas), in which case it is necessary to arrange transportation. There are regular buses from Cusco to Pisac, Urubamba (from where it is possible to catch a but to go to Moray and Salinas) and Ollantaytambo. The best option is to do a Sacred Valley tour, which is not as expensive as one may think. It really is worth the extra pennies to have a good guide that will explain the history of the places. And there are a few more tips for things to do in Peru for those who are on a tight budget. Any agency in Cusco will sell a Sacred Valley tour, which usually includes transportation, entrance fees and a guided visit of the citadels of Pisac and Ollantaytambo, and entrance fees to Moray and the Salinas; as well as lunch in one of the many restaurants in Urubamba. Options vary: it is possible to have a private car tour (which is the best option for a small group of friends) or a bus group tour. 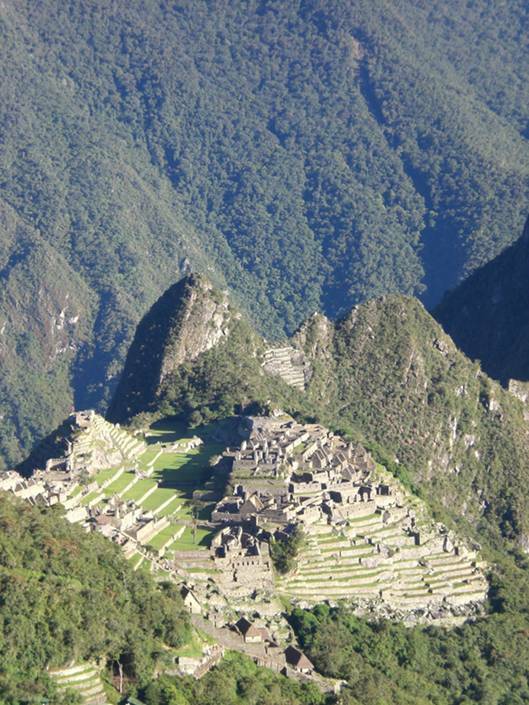 To help save extra pennies, there even are whole packages which includes the Sacred Valley and Machu Picchu. Most tours leave between 7:30 am and 9:00 am. Private cars usually leave earlier than buses, in order to let tourists experience the sites without having to push among the crowds of visitors. The tour can take tourists back to Cusco, or drop them off at Ollantaytambo, or even go directly to Aguas Calientes (which is the last stop before Machu Picchu). If there is more time to explore the area, Ollantaytambo is among the places to visit in Peru that, despite tiny, deserves a couple of days. It is charming and a perfectly preserved example of an Inca village, there are various lovely restaurants, a nice crafts market, and life goes on slowly and quietly. The ruins are big, and a guided tour will only visits one side. But if one spends a bit of extra time there, it is possible to access the other side and enjoy a spectacular view of the village from atop the mountain. It is also possible to fully use your boleto turistico to go to Moray and the Salinas (catch a bus heading to Urubamba). There are various options, for expensive taste and for backpackers on a budget. Hostal Chaska Wasi is a decent budget option, but guests have to put up with the moody staff and owner and the temperamental showers. El Albergue, a little outside the village, right on the railway, is a luxury boutique hotel, with huge comfortable rooms and a top notch restaurant in it. For a decent meal, go to Il Piccolo Forno, an Italian run restaurant and pizzeria. It may not be as good as in Italy, but pretty good given what the place has to offer. Known as Machu Picchu Pueblo, Aguas Calientes is not particularly interesting if not for the hot springs and for its proximity to the archeological site, and we all know that Machu Picchu is one of the things to see in Peru. Sleeping here is a good way to have early access to it (the site opens at 6:00 am, carry your passport as you will need it to access), by catching one of the many buses that link the village to the archeological site (the first one leaves at 5:30 am, a round trip ticket costs 20 US dollars), or hiking up the trail (about one hour, uphill). I recommend Denny’s house, a hostel a little off the main centre of the village. Rooms are tiny, so be sure not to carry too much lugguage. But beds are comfortable, breakfast is filling and served very early for those who wake up early to go to Machu Picchu, and most importantly showers are hot and powerful (which never goes without saying in Peru). There are many restaurants. Most of them will try to offer a set meal, which normally includes a soup, a main dish and dessert for around 20 soles. It is cheap, but not nearly enough food. Opt for a real meal and take time in picking a good restaurant. Chifas (Chinese restaurants) are usually good options for cheap, big and usually good portions of food. Need to have more information on Peru? Check here.